This month for one of my New Year’s resolutions, I’m resolving to finish my baby’s room. He’s almost 2 ½, so it’s probably time to get that finished, don’t you think?? A new lamp for the nursery has been one item I’ve been putting off for ages because I just wasn’t sure what I wanted and couldn’t find anything I liked in my price point. At first I wanted the lamp base to be bold, colorful, or graphic, but after searching for ages to no avail, I instead decided to keep the bottom simple and make the top bold! 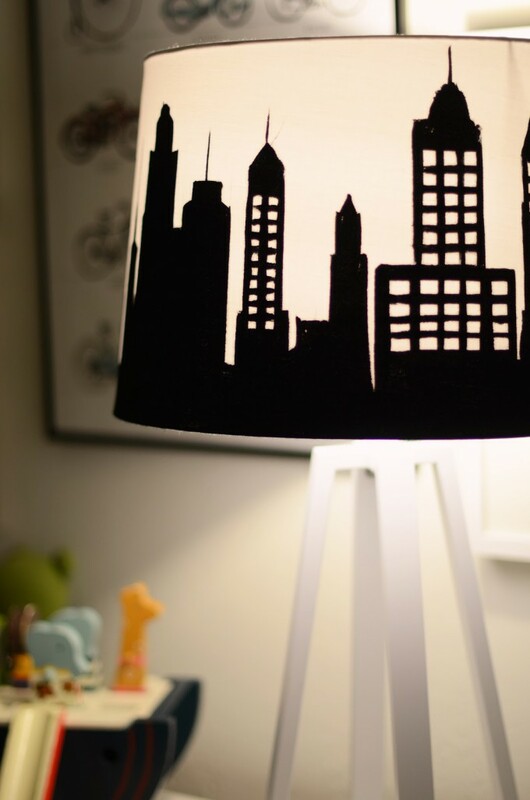 So I used a little bit of acrylic paint and a brush, and painted a New York City skyline on my lampshade. I love how it turned out, and it’s so easy! Step 1. Use a pencil to draw out the shape of your skyline. I Googled “New York skyline silhouette” and found a bunch of good options. Use your ruler to sketch out the skyline. Step 2. Use black acrylic or fabric paint and your sponge brush, and carefully fill in your pencil drawing. Step 3. 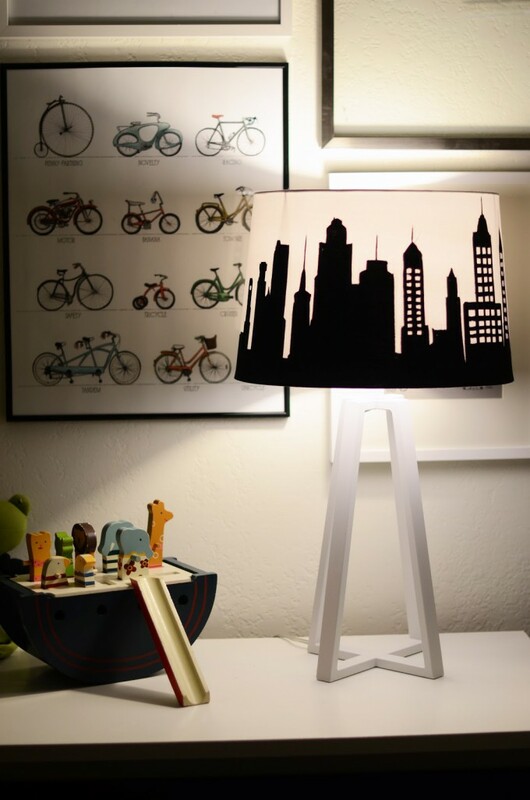 Let your lampshade completely dry, and then install as normal. Now go make one already!